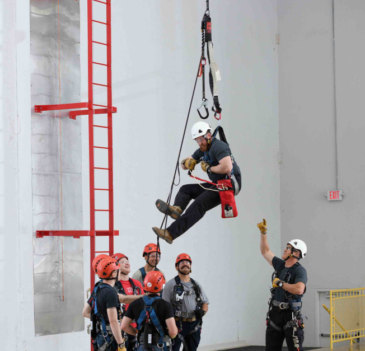 The Evacuation & Self-Rescue Training is a high angle rescue course concentrating on the various uses of the SRK-11® (ANSI certified Kit) or SRK-15® (CE certified Kit) for the purpose of an evacuation and a self-rescue from an elevated work environment. Each student will learn to inspect and operate the dual-brake personal lowering device, as well as adjust the kit to his or her own body-weight in order to keep the kit event-ready in case of an emergency. 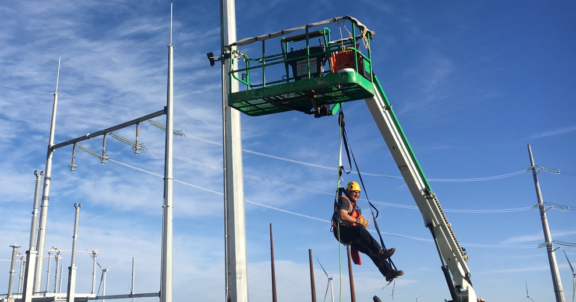 This training is beneficial to any construction worker at height in a hard to reach environment such as the rooftop of a stadium or a tower crane cab. Each student must have appropriate PPE, including a full body harness, dual leg lanyard and any personal fall protection devices normally used. 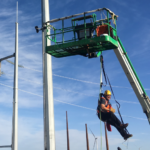 Tech Safety Lines’ rescue training programs meet or exceed OSHA and ANSI safety standards.